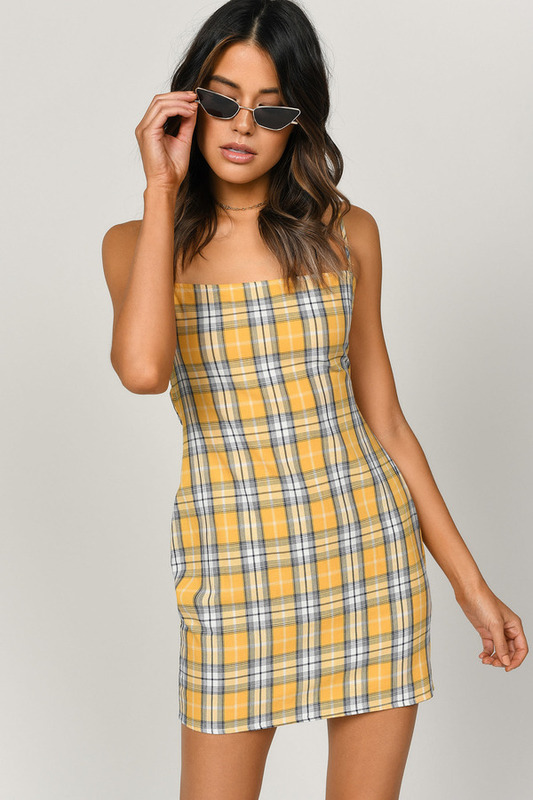 Check out Tobi's Give Me Fever Plaid Bodycon Dress The Give Me Fever Yellow Multi Plaid Bodycon Dress designed by Tobi features a cute plaid pattern with a square neckline, back tie closure, and adjustable straps on a lightweight cotton weave! 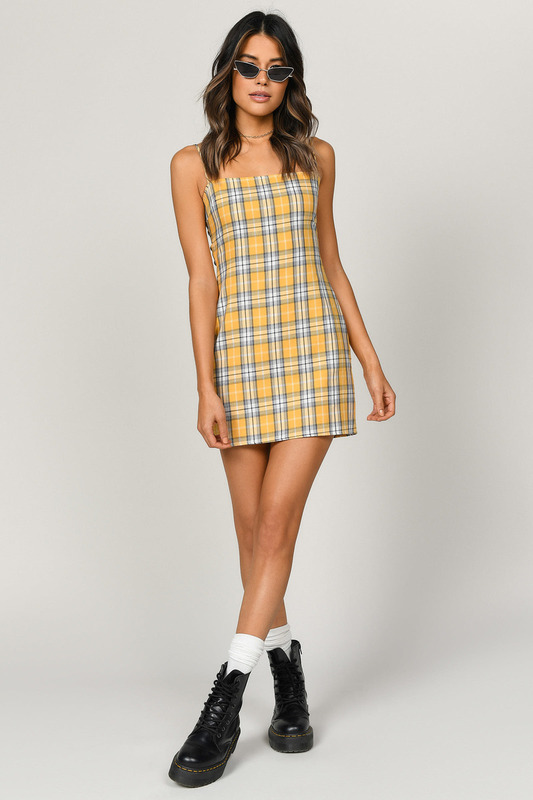 The Give Me Fever Yellow Multi Plaid Bodycon Dress designed by Tobi features a cute plaid pattern with a square neckline, back tie closure, and adjustable straps on a lightweight cotton weave! The Give Me Fever Green Multi Plaid Bodycon Dress designed by Tobi features a cute plaid pattern with a square neckline, back tie closure, and adjustable straps on a lightweight cotton weave!